There are nice areas of London, and there are nice areas of London. 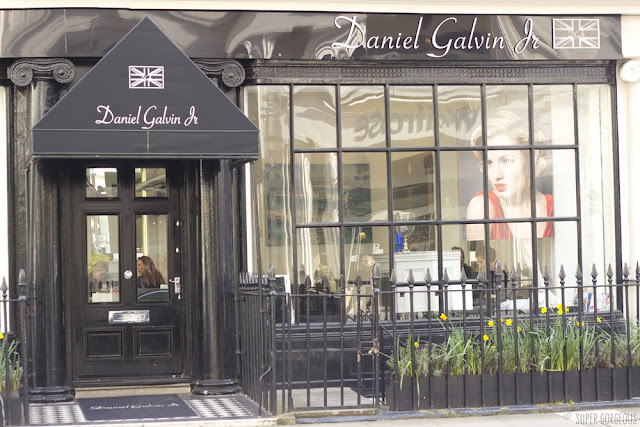 Daniel Galvin Jnr is nestled in among the gorgeous boutique designer shops in London's Belgravia - a very nice area of London, and fits in perfectly. 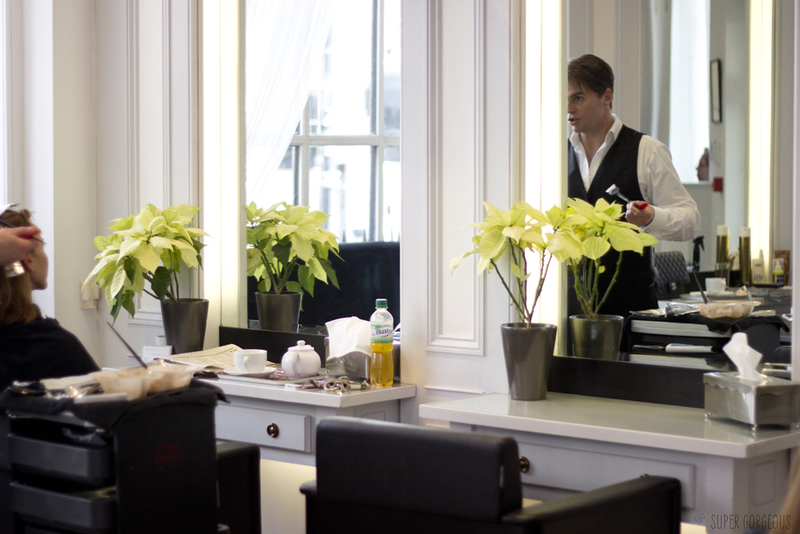 The salon is decorated in a classic style, with high ceilings, lots of windows letting in light (even on the downstairs level) and fresh white flowers at each station. I paid them a visit last week for an Organic Detox Treatment and was pleasantly surprised to see Daniel Galvin Jnr himself working in the salon. I realise the photo below looks like a rather creepy stalker photo - but I was trying to get a photo of the stations and it just so happened that Daniel is in the reflection! 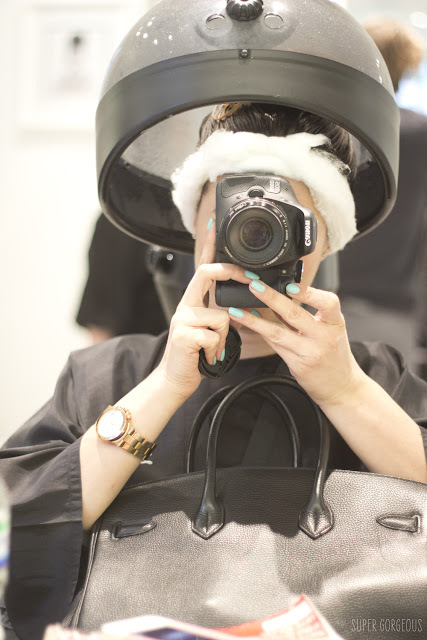 Despite the fact I'd gone on a Thursday day-time, the salon was very busy - everyone seemed to be doing something, and the hair that I saw looked gorgeous. It's the kind of place I would go to for a classic cut or colour - think the most gorgeous shimmering, natural looking highlights, or fantastic auburn hair colour with cuts that just seemed to work. 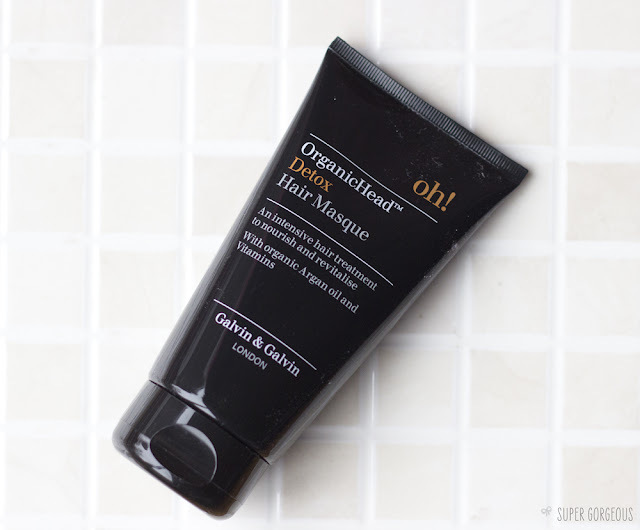 The Organic Treatment I was having began with a shampoo - then the Oh! OrganicHead Detox Hair Masque being applied to my hair. It smelled delicious - a kind of ocean breezy smell that reminds me of one of my favourite perfumes (MAC Turquatic), I was pleased that the smell remained on my hair after drying - I could not stop sniffing my hair! The treatment is sold as one you can do in the comfort of your own home, but at the salon it's much more of an intense masque as you are placed under a steam hood for half an hour which opens up all of the hair follicles and allows the product to really penetrate your hair. The Organic Treatment is designed to detoxify the hair and remove any impurities and pollution. I knew the moment it had been washed off and the brush went through my hair for the first time that it had definitely done some magic. My hair is normally a mass of knots post-wash, but this time the brush glided through. 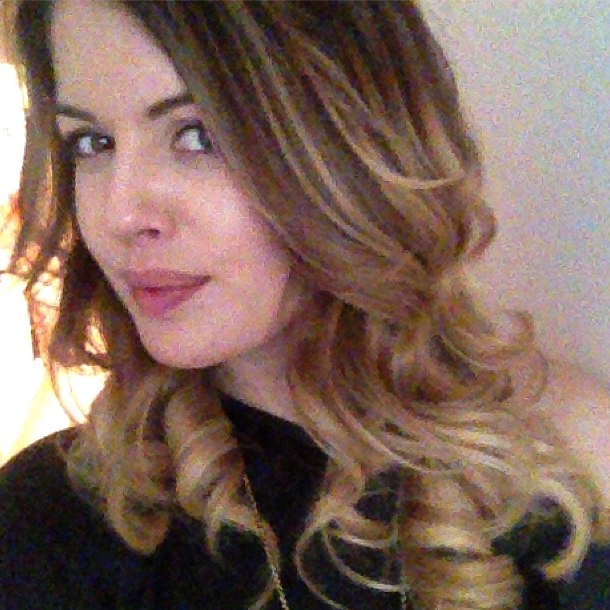 My hair was super-soft and knot free - amazing. Joe dried my hair to perfection - my bouncy curls were still in full force after two nights of sleeping on them - it seemed such a shame that I had to eventually wash my hair and wash them out! My hair has definitely felt so much healthier since having the treatment - since bleaching the ends of my hair, they have been rather dry, but now they feel a little more like they should do! I'm looking forward to topping up the treatment myself at home, which I was given some tips for - leave it to work it's magic while you're in a steamy bath, or place a dampened towel in the microwave for 30 seconds then wrap your hair in to create some steam. 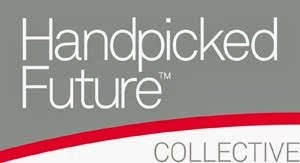 All in all, a very pleasant experience! I wish my hair could hold curls! I've always wanted super glamorous yet natural waves like yours!